JD Medical is fully responsive Joomla 3.8 template that adjusts itself on each screen perfectly, so you don't need to write different codes for different screen sizes. 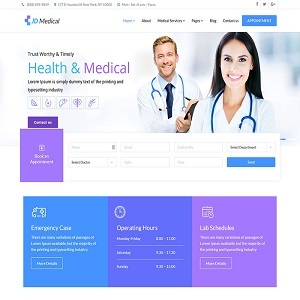 JD Medical is deeply integrated with SP Page Builder Pro (You are saving $49 here). So you can easily create any page with just drag & drop. You don’t need to have any hard coding skills. 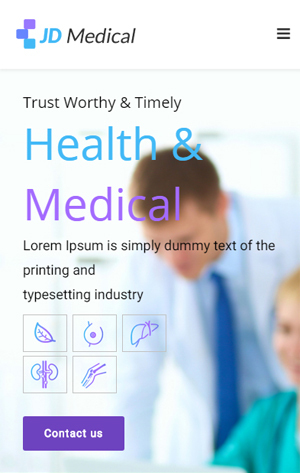 JD Medical is a fast loading and lightweight template which intensify your user experience on the site. This template can be load on the blink of the eye. Most of the languages start from Left to Right, but there are some languages like Arabian which starts from Right to Left. So it can be the hurdle in some templates. But JD Medical is fully supporting Right To Left languages. Smart slider 3 is the next generation visual editor to create responsive, animated Sliders and Blocks. JD Medical comes with Smart Slider 3 pro. So you are saving $25 instantly.